From left, Highlands Hospital consultant Nick Jacobs, Highlands CEO John Andursky and Dr. David Borgstrom, General Surgery Program Director at West Virginia University School of Medicine, spoke recently about the importance of offering quality surgical care at a community hospital such as Highlands. Healthcare options are continuing to expand in Connellsville as Highlands Hospital partners with WVU Medicine to provide surgical services. Dr. David Borgstrom, the General Surgery Program Director at West Virginia University School of Medicine, has been offering surgical services at Highlands for the past month. He participated Thursday in Dinner and Dialogue sponsored by the Downtown Connellsville Initiative at the Connellsville Canteen. Borgstrom said young surgeons are not often choosing to practice at rural hospitals, but rural hospitals need surgeons since surgical patients are the driving force behind many of the other services at a hospital. “Hospitals all over are closing and when a hospital closes up, the town closes up,” Borgstrom said. Borgstrom noted that it takes five years of training after the completion of medical school to become a surgeon. “We have a great shortage of people who are completing their training who want to come to places like this,” Borgstrom said. Borgstrom said he once worked in Cooperstown, N.Y, which has a population of about 2,000 people. While that meant he sometimes was doing consultations at the grocery store, it also meant he had the opportunity to coach his son in Little League and to serve on the school board. “In a town that small you can’t be anonymous and not everyone is comfortable with that,” Borgstrom said. Highlands Hospital CEO John Andursky said the hospital is continuing to forge additional relationships with WVU, including cardiology services through Dr. Brian Kazienko and is in the process of developing a telestroke program with WVU Medicine. “Highlands Hospital embraces the responsibility of continuing to fuel our local economy and positively impact the overall health and well-being of the residents in our region,” Andursky said. Highlands Hospital consultant Nick Jacobs said it means a lot to Highlands to be able to offer high quality local surgical services.“Having him come here, the head of surgery at an academic facility, is huge for the program” Jacobs said. Jacobs said Highlands has seen significant improvements and growth in the past year, including nearly doubling the size of its autism school, opening the Center for Health and Community Impact which offers full women’s health services and recently opening the acute extended care behavioral health unit. Almost a year after Highlands Hospital in Connellsville conducted a community survey to identify the current health needs of the area, officials there are taking the key findings and beginning the work towards community concerns. “We value the community health needs reporting requirement as an important tool to provide intense focus on the needs of the communities that we serve and to demonstrate the depth of our commitment to address those needs for our patients and the community,” said Highlands Hospital CEO, John Andursky, who noted that the hospital is required to conduct the survey every three years as dictated by the IRS due to the hospital’s nonprofit status. Director of Development, Vicki Meier, said mental/behavioral health and substance abuse were the top two identified health needs by the stakeholders interviewed for the Community Health Needs Assessments (CHNA). Several measures have already been taken to address these health needs, Meier said, including creating a behavioral health referral network with primary care physicians. Highlands officials have also developed a telepsychiatry program, a form of video conferencing that can provide psychiatric services to patients. Officials at the hospital have also been working toward an increased awareness and skills of all staff and community members regarding behavioral health, including expanding autism services in alliance with Cleveland Clinic Children’s Center for Autism. “Over the last three years, Highlands Hospital’s Regional Center for Autism, which is a licensed site of Cleveland Clinic Children’s Center for Autism, has been able to support additional students with daily ADA Programming as part of their year-round school program, which brings enrollment to 30 students,” Meier said. The hospital also purchased the former Zachariah Connell School to expand the autism center size to be able to enroll up to 70 students. The renovations were completed in August of 2018, and the new Regional Center/School for Autism opened its doors at the Center for Health & Community Impact located at 700 Park Street in Connellsville. “Students attending Highlands Hospital Regional Center for Autism receive services in all areas of their academics, functional living skills, communication, socialization and behavior,” Andursky said. “Thanks to the generous donation by John and Diane Carom, owner of Abbey’s Jewelers in Uniontown, we are now incorporating more off-site recreational day camp experiences called ‘Evan’s Destination Day Camp’ for our students,” he added. The Highlands Hospital Opioid Center of Excellence (OCE), which began in February 2017, is one of 45 statewide Pennsylvania Department of Human Services grant-funded programs to address the opioid crisis. Meier said the Hub and Spoke program model assures that Highlands Hospital (as the hub) is working within the community to link individuals with community services and treatment program (the spokes). In conjunction, over half (57.5 percent) rated the overall health of the community as “fair or poor” and many focus group participants reported experiencing diabetes, high blood pressure, depression and thyroid problems. “In response, we continue to educate primary care physicians about the Highlands Hospital Center for Diabetes and all the services provided, and we have also reached out to the community to help educate them on diabetes,” Meier said. The hospital has also recently partnered with West Virginia University’s Heart & Vascular Institute. “WVU’s presence at Highlands Hospital reinforces the hospital’s commitment of ensuring coordinated comprehensive care close to home,” Meier said. Hospital officials have also implemented a non-invasive treatment, Transcranial Magnetic Stimulation, for treating depression. Appointments are being scheduled at the New Center for Health & Community Impact by calling 724-603-2652. The hospital’s Community Health Needs Steering Committee is in the process of developing a strategic implementation plan with the goal being to create a healthier community, she added. The results from the CHNA will help hospital leaders better direct resources to improve population health of our region. “In addition, the hospital is focusing our efforts to serve as a provider of wellness, prevention, and care for the greater Connellsville region and beyond,” Andursky said. • Diabetes is the seventh leading cause of death with 252,806 people dying of diabetes in 2015. • 1.5 million Americans are diagnosed with new cases of diabetes every year. • 30.3 million Americans or 9 percent of the population have the disease. • Another 84.1 million Americans or almost a third of the population have pre-diabetes, which often leads to diabetes. • In Pennsylvania, 12 percent of the population have the disease and 35.8 percent of the population have pre-diabetes. • 25 percent of the nation’s senior citizens have diabetes. • The total costs for diabetes in 2015 were $237 billion for medical expenses and $90 million in reduced productivity. In addition, diabetes can lead to many serious problems including blindness, heart problems, neuropathy and amputations. A chronic disease, diabetes occurs because the body is unable to use blood sugar (glucose) properly. Type 1 diabetes occurs, mostly in young people, when insulin-producing cells are damaged or destroyed and stop producing insulin, which is needed to move blood sugar into cells throughout the body. The resulting insulin deficiency leaves too much sugar in the blood and not enough in the cells for energy. Type 2 diabetes, which is much more common than Type 1, occurs when insulin is produced normally in the pancreas, but the body is unable move glucose into the cells. At first, the pancreas will create more insulin to overcome the body’s resistance, but eventually the cells wear out. At that point the body slows insulin production, leaving too much glucose in the blood. Diabetes is often worse for people rural areas, which lack the modern medical facilities found in urban areas. However, that’s not the case here in Fayette County where Highlands Hospital has an excellent diabetes center which offers numerous educational programs and other services to individuals with all types of diabetes. Education is crucial for people with diabetes. While there’s no cure for the disease, it can be controlled, mainly through diet and exercise. Bridgette Lowry, the certified diabetes educator at the center, notes that the first appointment is always one-on-one. “Diabetes care is 99 percent the person who has it. It’s not a lot of doctor management,’’ noted Lowry. While normal blood sugar levels are considered below 5.7, the American Diabetes Association’s goal for people with Type 2 diabetes is to achieve an A1C level below 7.0. Lowry said the center’s education programs seem to be working. “We have group classes, and these are extremely helpful. Fifty four percent of the people who attend our diabetes classes achieve an A1C of less than 7. That’s huge.” Lowry said. Lowry said it’s not only important to educate patients, area doctors also need to realize the importance of diabetes education in successfully treating their patients. Referrals are needed for the educational services which are covered by most insurance plans. “I do have some doctors who are really good about referrals,” Lowry said. Janelle Sepkovic, a certified Registered Nurse Practitioner, from the Dr. James Oppy practice in Connellsville, said the diabetes center is a vital resource. “The Diabetes Center has become such an important resource for our practice. The knowledge and skill of the educators is reflected by overall A1C reduction in our diabetic population. 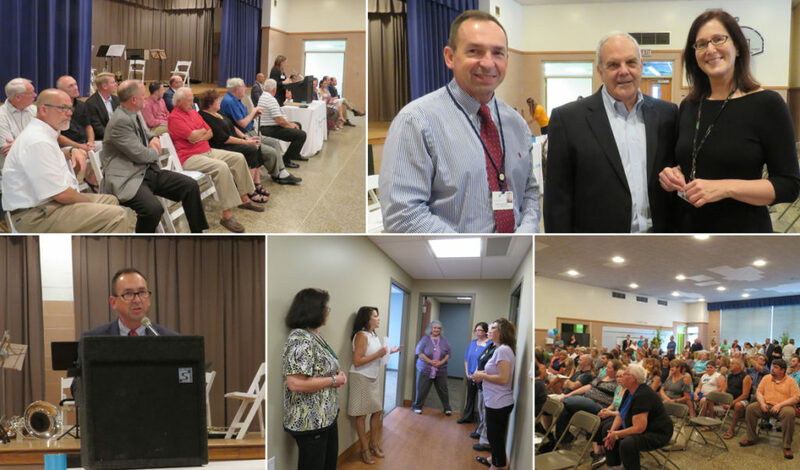 The collaborative relationship that we have with the center has successfully bridged a large gap in diabetic management in our community,” Sepkovic stated. But the problem is that many people may not even know they have diabetes. That’s why it’s important for all adults to get checked for diabetes, which can be detected by blood testing. The disease can be hereditary so people who have family members with diabetes should be particularly careful. Senior citizens should also get tested since they’re more likely than others to get the disease. Often times there are no symptoms for people with diabetes. When symptoms do occur, they can include urinating often, feeling very thirsty, feeling hungry even though you’ve eaten, extreme fatigue, blurry vision, cuts and bruises that are slow to heal, unexplained weight loss and tingling, pain or numbness in hands and feet. For more information or to set up an appointment, contact the diabetes center Monday through Friday 8 a.m. until 4 p.m. at 724-628-8008. The center can offer plenty of help to those suffering from diabetes. The staff there is very informative and supportive. But you have to be there to take advantage of their expertise. Don’t delay. Give the office a call today. It just might be the most important call you’ll ever make. Mark O’Keefe is a contributing editorial writer for the Daily Courier. A familiar face is taking on a new role at Highlands Hospital. Dr. Richard Tiberio was named as Highlands’ first Chief Medical Officer by the hospital’s Board of Trustees. Tiberio has been practicing in Connersville for nearly 30 years. He is a board-certified internist who focuses on the treatment of hypertension, diabetes, lipid disorders and vascular disease. Highlands Hospital CEO John Andursky said that while the position is new, Tiberio has a long list of duties. “He’s going to be the liaison between the medical staff and the hospital board and administration,” Andursky said. “He’s helping us coordinate a lot of different issues with patient care,”Andursky added. Andursky said Tiberio has an excellent reputation for providing quality patient care. 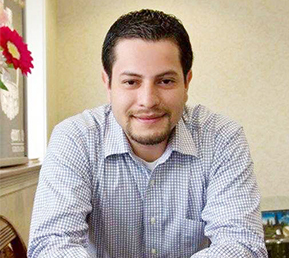 “He brings a thoughtful approach to our future planning efforts for Highlands Hospital. He has a true desire to make an impact in our community and beyond. We are fortunate to have him on our leadership team and expand our mission,” Andursky said. Tiberio is a Clinical Professor of Medicine for Seton Hill University’s Physician’s Assistant Program. When it comes to getting medical care, a growing number of people are avoiding hospitals. There are exceptions, but consumer cost pressures, urgent care centers and drugstore clinics are taking hospitals’ lunch money as they scramble for ways to cut costs, merge with bigger systems and otherwise partner to provide medical services to keep the lights on. The trend isn’t new. But now, a report by a Warrendale-based trade group points to health insurers as a big part of why hospitals are losing their luster. The reason is simple cost-cutting, according to the Healthcare Council of Western Pennsylvania. Blood work, medical scans and other services cost less outside the hospital, so insurers send their customers elsewhere. Highmark spokesman Aaron Billger defended the Pittsburgh insurer’s cost-cutting efforts, saying that consumers are becoming smarter about health care choices while the quality of care has improved. “The quality of our members’ care has increased while these inpatient stays have decreased and this has led us to acknowledge that our members are getting better care,” Mr. Billger said in a statement. Hospital admissions in Western Pennsylvania were off 2.74 percent to 486,617 in fiscal 2018 from 500,310 in 2017, a survey of 62 hospitals by the Healthcare Council found. Inpatient surgical operations slipped 4.3 percent during the same period. At the same time, emergency room registrations fell 3.4 percent to 1.7 million in 2018. Even as the average hospital revenue from core medical services ticked up to 4.6 percent in 2018 from 4.3 percent a year earlier, the Healthcare Council says more than half of the 62 hospitals surveyed, or 53 percent, saw operating margins sink over the past year. At Washington Hospital, for example, admissions fell to 11,432 for the year ending June 30, down 8.6 percent from the same period in 2017. Emergency department admissions dipped 3.7 percent. Inpatient surgical cases slipped 1 percent for the year, 2,233 in 2018 versus 2,257 a year ago. Fewer surgeries and the drop in admissions translated into a 3.2 percent loss in operating revenue at Washington Hospital for the year — $240.4 million in revenue in 2018 compared to $248.4 in 2017. And health insurance costs aren’t helping: plan deductibles for individuals have tripled since 2008, growing eight times faster than wages, according to a new study by the Henry J. Kaiser Family Foundation. The average single deductible has more than doubled since 2008 — $1,573 compared to $735 back then. Higher health insurance costs mean delayed or skipped medical care, Healthcare Council’s Mr. Lukes said. Highlands Hospital CEO John Andursky said the trends identified in the Healthcare Council survey are familiar to those at his 64-bed Fayette County facility. Highlands is fighting back by repurposing existing space at the Connellsville hospital and by expanding niche outpatient services, including care for people with autism. Highlands reported revenue of $30.1 million in 2016, the most recent figures available, finishing the 12 months with a balance of $1.8 million. Financial reports for fiscal 2018 were being audited and not available, Mr. Andursky said, but he said the hospital would break even for the year. Enrollment is growing for an autism program that Highlands offers at the former Zachariah Connell Elementary School in Dunbar Township, which the hospital bought in 2015. Five staff members were hired in October, Mr. Andursky said. The school, which has a capacity for 72 students, has an enrollment of 24. In addition to autism services, an outpatient women’s health center is planned at the school. At the main hospital, Highlands is converting underutilized space into a 14-bed step-down unit for patients with behavioral health problems. “It does open up some doors for us to reinventing ourselves,” Mr. Andursky said. Highlands Hospital is one of three hospitals in the nation partnering with the Clinical Breast Care Project, a repository of more than 100,000 donated tissue samples for the study of breast cancer. The center is located in Windber, Pa., near Johnstown and was started in 2000 by Dickerson Run native Nick Jacobs in conjunction with the Department of Defense utilizing a grant obtained through the late Congressman Jack Murtha. Connellsville is the third hospital to partner with the research center, joining Anne Arundel Hospital in Maryland and the Walter Reed-Bethesda Medical Center. To date, Jacobs said, 97 percent of the women asked have participated in the study. Jacobs, who is now retired, said he wanted to bring this program to his hometown as well. “People from this area will be participating in the effort to stop breast cancer or to cure breast cancer,” Jacobs said. Women going to Highlands Hospital for mammograms will be asked if they want to participate in the study, Jacobs said, and if they agree, a blood sample will be taken. The partnership between the hospital and the Windber research center began a year ago, with the final stages of training and equipment installation just wrapping up now, said Vicki Meier, the hospital’s director of community and professional relations. “It’s pay it forward. The information is being used for a cure, which is what we’re all about,” Meier said. Because the original repository was set up in conjunction with the Department of Defense, Jacobs said, it offered in-depth information over time. Jacobs said in the past, tissue samples weren’t necessarily handled well or in a uniform manner and did not come with information about the person they came from. Jacobs said nurses were hired to conduct an 800-field survey with those who were donating tissue samples so more was known about lifestyle, diet and family backgrounds. That information is placed in a database and can be analyzed from many perspectives. Jacobs said that because the project is affiliated with the military, medical data on the women is available for as long as they are serving in the armed forces. All military personnel have blood testing done every two years, so that information is also provided to the Windber site. When Jacobs found his research scientists becoming distracted by the amount of data available and heading in a multitude of directions not necessarily related to the human body and cancer, he hired foreign doctors for the research team who had medical training but were unable to practice in the United States because their licensing was obtained elsewhere, keeping the research focus on the medical applications. Jacobs retired in 2009, which is the same year the National Cancer Institute conducted an assessment of the Windber facility, ranking it as the only Platinum facility in the United States. “They began using the tissue to map the human breast cancer genome,” Jacobs said. Genetic information is not the only benefit from the study, however. Jacobs said having additional information along with the tissue samples has allowed the researchers to learn so much more. “Seventy five percent of what we’re dealing with is not genetic,” Jacobs said. Jacobs said there are numerous environmental and even cultural issues that can lead to higher cancer mortality rates. Jacobs said a nearly epidemic proportion of breast cancer cases were found in an area near a municipal waste incinerator in one area. When African-American women in the military were found to be in later stages of breast cancer than their caucasian peers, all with the same access to the same health care, it was found that culturally, fewer black women breast fed or conducted monthly self-examinations, leading to later diagnoses and more advanced cancers, Jacobs said. While the repository provides a wealth of information, because it has been primarily from U.S. military personnel, it contains few samples from either Hispanic or elderly women. Jacobs said he has started a second research institute in Florida which studies 300 genes to determine how medications are metabolized, so drug therapies can be more efficient, especially in treating cancer where the wrong drug can be as damaging as the disease. Highlands Hospital is proud to be a sponsor for the Stand Up & Choose Tour! The program was presented to Connellsville Middle School students with a message of anti-drug, anti-bullying, and life-affirming messages. The hospital also made a donation to the school’s Caring Closet and Impact Kindness Club. Keep up the great work Mary Dreliszak and Connellsville School District. Highlands Hospital Hospital supports your efforts! Evan’s Destination Day Camp is a fun way for students enrolled in the Highlands Hospital Regional Center for Autism school to get outside of the classroom and enjoy some fun activities out in the community. Jordan Morran, director of autism services with the hospital, said community-style field trips so far have included a visit from the Carnegie Museum of Natural History, a bowling trip and a visit to Living Treasures Animal Park in Donegal. This year they’re hoping to have Carnegie Museums come back for a visit. They’re looking into an indoor recreation facility in Uniontown, and next summer they’re hoping for a trip to Yogi Bear Campground in Mill Run. “Yogi Bear is very ambitious for us, but we think it’s doable,” Morran said. Without the fundraising efforts through Evan’s Destination Day Camp, Morran said they would not be able to provide these opportunities for the students. John and Diane Carom, business owners in the Uniontown area, set up Evan’s Destination Day Camp in memory of their son who had a heart for the autistic community. Evan (Carom) was introduced to Camp S.P.E.A.K. by older cousins who were special education teachers and worked at this Pittsburgh camp for autistic kids,” said John Carom. He volunteered for the first year and submitted his volunteer work as his senior project, but camp managers liked his work so much that they hired him back for the next 10 years until his death in August 2015. Evan was employed as a full-time employee at the family business, Abby’s Gold and Gems, because he was being prepared, along with his older sister, Danette, to eventually succeed us and own and operate the business,” John Carom said. But Evan actually chose to make less money working at the summer camp each year than what he would have made working those months at the family business. After Evan passed away, the program, Evan’s Destination Day Camp, was started by his parents to respond to a need they know exists for the students at the Regional Center for Autism that lines up perfectly with what Evan did as a volunteer and then employee at the summer camp in Pittsburgh. We know if asked, ‘Evan, should we put together a program and fund it that would provide recreation, socialization and education to autistic kids close to home,’ he’d have said yes in a heartbeat,” said John Carom. While in some years prior, Highlands Hospital had sponsored a race for autism in Connellsville, this is the first year for a walk/run sponsored by Evan’s Destination Day Camp. This is not a timed race. The walk/run is scheduled for Sept. 29 at the Sheepskin Trail at Hutchinson Park in Hopwood. Registration will begin at 9 a.m. and the walk/run will start at 10 a.m.
Pre-registration is $20 for 14 years and older or $10 for ages 8 to 13. Those who preregister are guaranteed a shirt. Race day registration is $25 for 14 years and older or $15 for ages 8 to 13. Race day registrants are not guaranteed a shirt. Registration forms can be printed from the website www.evansdestinationdaycamp.com. Checks should be made out to Highlands Hospital Regional Center for Autism and completed registration forms and checks should be mailed to: John Carom c/o Abby’s 197 Morgantown Street, Uniontown, 15401. The unofficial goal the Carom’s had hoped to raise with this walk/run was $5,000, and while they don’t have a final count yet because walkers, runners and sponsorships are still coming in, John Carom feels certain they’ve exceeded $12,000 so far. For the future we may want to consider passing the walk on to another party or organization,” John Carom said. “It’s possible we will consider other fund raising efforts that have a different method of raising funds. Highlands Hospital in Connellsville has almost completed updates to convert the former Zachariah Connell Elementary School into a health care center. They have moved their Highlands Hospital Regional Center for Autism school from its former location on Breakneck Road, where it only had enough room to serve less than 20 students, to the new site on Park Street in Connellsville, where space will allow for as many as 75 students. The autism school is the only one in the state of Pennsylvania that is affiliated with the Cleveland Clinic. The hospital’s autism facility has been open since 2011 with just four students its first year. It grew to 17 students as of last year, which was the maximum number the building could accommodate. “The last two years at the former location on Breakneck Road, they were operating at maximum capacity, so when this building came available, we knew it would be perfect for expansion,” said John Andursky, Chief Executive Officer at Highlands Hospital. Students come to the school year-round and their enrollment is contracted through the school districts. Currently, the center partners with seven area school districts. “If [a parent] feels their child’s needs are not being met, they will reach out to the special education department at the school who would then get in contact with us,” Morran said. The Highlands staff would then work out a contract with the family for placement of the child in their school. Along with the expanded school, renovations for a blended-care model wing that will include behavioral health, women’s health and primary care should be complete some time in October. The blended-care wing will mainly be a physician space that will include primary care services, behavioral health, integrative medicine techniques and possibly even a diabetes center. “We have a midwife partnering with us, a psychiatrist piece in place and now we’re working out a primary care component,” Andursky said. “We’re hoping to open this space by mid-October. One of the things they’re excited about with this is the new Transcranial Magnetic Stimulation machine that uses MRI techniques to stimulate that part of the brain that’s causing major depression. He added that there are no side effects with the transcranial machine and now, insurance companies will cover the treatment if there is no improvement with an individual after treating them with at least one medicine first. The third project Highlands Hospital officials have planned for the building is a Women’s Center for Health Impact that will address risk factors for women’s health in a multifaceted way including physically, behaviorally and spiritually through hormone therapy, postpartum care, drug responsiveness and more. Andursky said they are in the process of finalizing documentation for a Redevelopment Assistance Capitalization Project grant to help fund the women’s center. “This will be a whole-person approach to provide diagnostic services for women from mammograms, bone density screenings and gynecological visits to hormone therapy and postpartum depression,” he said. Highlands officials expect the women’s center to be open by mid to late spring next year. Students from the Highlands Hospital Austism Center cut the ribbon for their new school. The move to the former Zachariah Connell Elementary School will provide opportunities for the school to accept more students and provide them with more resources. The ribbon cutting for the Highlands Hospital Center for Health and Community Impact was no ordinary ribbon cutting. It was not the dignitaries, not the donors, not the politicians who were called forward to hold and cut the ceremonial ribbon. “We’re going to have the students come up and do the cutting for us,” said Michael Jordan, chairman of the board of trustees of the hospital. Jordan Moran, director of the Highlands Hospital Autism Center/School, said she has been at the center since 2013 and became director in 2015, overseeing the old school on Breakneck Road, which had a maximum capacity of 17 students. She said the ribbon cutting at the new site in the former Zachariah Connell Elementary School is a fulfillment of her dream for the program. Moran said everything done at the school is about the children. “I commit to you that we will put their needs first every day,” Moran said. Moran said the school will open with 24 students and has the capacity to increase to 72 eventually, still just a drop in the bucket of what may be needed in Fayette County. “In 2010 there were 500 children in Fayette County with autism. I’m sure it is higher now,” Moran said. The school features an indoor recess area and Moran said it will also include a fundamentals of living area as well as art and music areas, none of which was possible in the cramped facilities on Breakneck Road. Moran said the school and hospital received several major grants, including one from the Highmark Foundation, which made the renovations possible. The Rev. Bob Lubic, who gave the blessing of the center, actually attended kindergarten in the renovated building which he said he was grateful to see repurposed for the community. “We are grateful that the good work Highlands Hospital is able to do in autism is going to be able to expand and grow in other areas of wellness for the community,” Lubic said. The lower level of the building will feature a blended model of care medical wing with primary, gynecological and behavioral health care services in an integrative care environment. John Andursky, chief executive officer of Highlands Hospital, said the blended care model best meets the needs of the community.“This is going to enhance the services that we provide,” Andursky said. While integrative medicine services such as acupuncture and other alternative therapies not generally covered by the insurance industry will not be offered at this time, Andursky said other elements will be part of the experience for patients. “Everything is to help in the healing process. The aesthetics are part of it,” said Vicki Meier, the spokeswoman for the hospital. Meier said everything from aromatherapy to the art chosen for the walls is part of the integrative medicine process for the suite of offices which include primary care and gynecological services, including a nurse-midwife and behavioral health services. Christine Haines is a Daily Courier staff writer. Connellsville , Pa. (August 18th, 2017) – John and Diane Carom, owners of Abby’s Gold and Gems LLC in Uniontown are providing funding to Highlands Hospital Regional Center for Autism for a new program called “Evan’s Destination Day Camp,” in memory of their son, Evan Carom. Director of Development for the hospital, Vicki Meier encourages other interested donors like the Carom Family to please consider investing time or resources to help Highlands Hospital complete its community oriented expansion of the former historic Zachariah Connell Elementary School Building; the new location for Highlands Hospital Regional Center for Autism. If you would like to learn more, please visit the hospital’s website at www.highlandshospital.org or call the development office at 724-626-2440 . Highlands Hospital is an independent, non-profit hospital located in the picturesque Laurel Highlands of Southwestern Pennsylvania offering emergent, inpatient, behavioral and ambulatory care to the region and beyond. Residents are given tools for life-long health at the John P. Murtha Wellness Center. 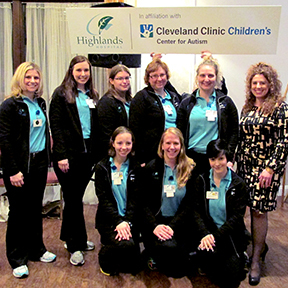 Highlands Hospital in affiliation with Cleveland Clinic Children’s Center for Autism helps to provide families with state-of-the art educational and behavioral treatment for autism. Highlands Hospital has proudly served the Behavioral Health needs of the community for over 30 years and has adopted a holistic approach to healing for the mind, body and soul of all patients. The hospital’s newest partnership is with WVU Heart & Vascular Institute. WVU’s presence at Highlands Hospital reinforces the hospital’s commitment of ensuring coordinated comprehensive care close to home. For more information, visit www.highlandshospital.org. Highlands Hospital partners with WVU Medicine to offer advanced heart and vascular care. Highlands Hospital is proud to announce a new partnership with WVU Medicine. Affiliated with the WVU Heart & Vascular Institute, the center is now open at Highlands Hospital and is accepting patients. Heart & Vascular Institute is a part of WVU Medicine, West Virginia’s largest, and most advanced academic health system. Mary Dreliszak’s Stand Up and Choose! tour mirrors the goals and objectives of Highlands Hospital. Read the full article on the TribLive.com website here: Dreliszak launches motivational assembly business Stand Up and Choose! Today, Governor Tom Wolf visited Highlands Hospital in Connellsville. At Highlands Hospital, which has been selected as a center of excellence, Governor Wolf hosted a roundtable to discuss his administration’s efforts to battle the opioid epidemic and how the state can continue this fight. The 2016-2017 budget included $20.4 million for Centers of Excellence which serve as central, efficient hubs around which treatment revolves. These centers will have navigators to assist people with opioid-related substance use disorders through the medical system, and ensure they receive behavioral and physical health care, as well as any evidence-based medication-assisted treatment needed. In late September, Governor Wolf addressed a joint session of the General Assembly to outline a set of shared, specific legislative goals that would help tackle the opioid and heroin crisis. Together with Republicans and Democrats in both the House and Senate, Governor Wolf made a commitment to prioritize helping the victims of substance use disorder and the communities that have been devastated by this terrible disease. During the fall session, we made real progress in helping the victims of substance use disorder and the communities that have been devastated by this terrible disease. The governor and legislators made significant achievements toward fighting this epidemic by passing five major bills that will strengthen the Prescription Drug Monitoring Program, restrict the number of pills that can be prescribed to minors or in emergency rooms, establish education curriculum on safe prescribing, and create more locations for the drop-off of drugs among other important initiatives. If you or someone you know is suffering from substance use disorder, help is available. Please visit pa.gov/opioids or call 1-800-662-HELP. Highlands Hospital in Connellsville will have the opportunity to be a part of a nationwide program to combat cancer at the Department of Defense’s Clinical Breast Care Project based at Walter Reed National Military Medical Center at Bethesda. 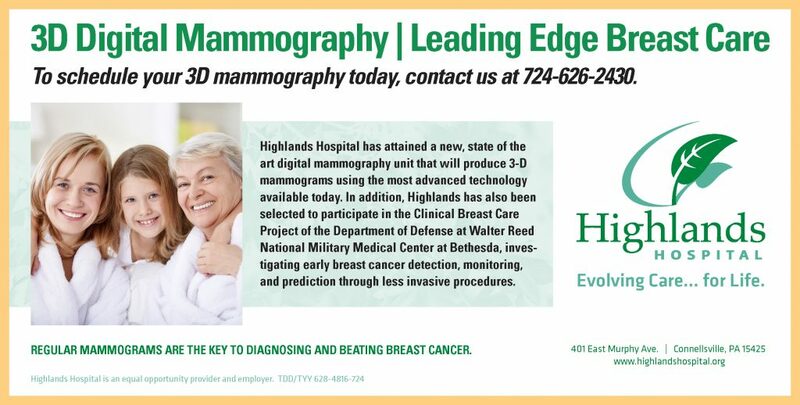 Highlands Hospital has been selected as one of a handful of organizations nationally that will be participating in the Clinical Breast Care Project of the Department of Defense based at Walter Reed National Military Medical Center at Bethesda. The goal of this work is to identify markers that may enable early breast cancer detection, monitoring, and prediction through less invasive procedures. As a member of this select group of organizations which includes Anne Arundel Medical Center in Annapolis, Maryland, Walter Reed, and the Chan Soon Shiong Institute for Molecular Medicine at Windber, Highlands Hospital will be participating in breast cancer risk studies looking at diagnostics, management and molecular mechanisms associated with the onset, progression, and severity of breast cancer. Participants in this effort will be providing anonymous blood samples that will correlate with patient risk factors. Since this program is based on prevention, screening, diagnosis, treatment, and management of breast disease, it provides the necessary framework for an integrated approach to treatment which will positively impact future management of breast cancer. Participants in this program are literally “Paying it forward” as their contribution of small samples of blood may lead to cures and early detection of breast cancer for future generations. Participation in this program will also help to keep Highlands Hospital on the leading edge of breast care treatments. Highlands Hospital was recently identified as a multiple Silver Award winner by the nationally recognized Aster Awards Program. Join us to celebrate the 30th Anniversary and the final time to get active and to support Highlands Hospital Autism Services! The race/walk is a wonderful way to support our mission of providing health care in a competent, nurturing, and healing environment. Our autism services are performed in collaboration with the prestigious Cleveland Clinic Children’s Center for Autism, providing local families with state-of-the-art educational and behavioral treatment. We are proud to offer hope for those affected by this disorder. Please preregister by May 25th to be guaranteed a free race t-shirt. Click here for more information and to register for the Race/Walk. In close collaboration with creative agency of record, Third Planet Global Creative, Highlands Hospital was recognized with gold awards for both their ongoing advertising campaign, and a marketing pocket folder. The advertising campaign was also selected for an extensive feature in the upcoming Nov/Dec issue of Marketing Healthcare Today. The Aster Awards Program is an elite competition recognizing the nation’s most talented healthcare marketing professionals for outstanding excellence in advertising and design. 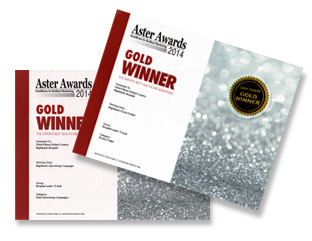 Winning entries, judged by a diverse panel of experts, are published in the Marketing Healthcare Today magazine. Tickets can be purchased at the Gift Shop located at Highlands Hospital and/or from any Hospital Auxiliary Member. Highlands Hospital in Connellsville recently held its public board meeting to discuss the status of the hospital’s programs and fiscal health. “One of the things I say to the whole group, even whenever we have workers and employees there, one of the reasons why I joined this board was it is a community effort. These people that all sit on the board are from the community. They have a stake in it. It is not a big corporate business, and I think that is what keeps us grounded and gives us our drive, and our employees also and our management team, and their innovative ideas and creativity especially in this area,” said Bruce Jaynes, chairman of the board. Highlands Hospital invites the local community to participate in its upcoming health fair event, “Health in the Laurel Highlands” to increase awareness of all health and wellness resources available. The event will be held between 11:00AM and 4:00PM on November 11th, 2015 at Highlands Hospital and will include a wide variety of informational exhibits and vendors. Please contact Alison Sakaguci, Director of Case Management at 724-626-2475 for more information. Highlands Hospital is launching a new program this week that allows participants to sample integrative medicine techniques to learn ways to subdue stress and maintain a positive lifestyle. The program, starting on Thursday 19th March, is called ‘Utique’. Read the full story at Triblive here. Highlands Hospital was recently identified as a multiple Gold Award winner by the nationally recognized Aster Awards Program. Highlands Hospital Regional Center for Autism announced on Thursday that it is the first licensed site of Cleveland Clinic Children’s Center for Autism in the United States. Highlands will follow the exact same model of diagnostic evaluation and treatment offered at Cleveland Clinic Children’s Center for Autism. Cunningham said the designation is a testament of the Fayette County clinic’s success. The Highlands clinic opened in 2010 with four students; the number has more than doubled. The Highlands Hospital Center for Autism has been successful in educating children with spectrum disorders once they have been diagnosed. It is considering to provide vocational training so that young adults can develop skills necessary to enter the workforce with confidence. The center serves people ages 5 to 21. The staff from the Highlands clinic was recognized on Thursday for their drive and dedication to the program and for their efforts and work with the children. Chuck Gallagher of Star Junction provided a testament to the Highlands clinic during the recognition program on Thursday. His 8-year-old autistic twin sons, Charles and Hunter, attend the Highlands center. Cunningham said Fayette County has one of the highest rates of autism in Pennsylvania. Highlands Hospital is only one of five hospitals to mirror Cleveland Clinic’s autism program. Story By: Marilyn Forbes, Contributing Writer, Daily Courier. Copyright © 2014, CLEVELAND CLINIC Foundation (“CLEVELAND CLINIC”); Reproduction of Documents in any form is prohibited except with the prior written permission of CLEVELAND CLINIC. CLEVELAND CLINIC does not guarantee the accuracy, adequacy, completeness or availability of any information and is not responsible for any error or omissions or for the results obtained from the use of such information included in Copyrighted Works. CLEVELAND CLINIC GIVES NO EXPRESS OR IMPLIED WARRANTIES, INCLUDING, BUT NOT LIMTED TO, ANY WARRANTIES OF MERCHANTABILITY OR FITNESS FOR A PARTICULAR PURPOSE OR USE. In no event shall CLEVELAND CLINIC be liable for any indirect, special or consequential damages in connection with subscriber’s or others’ use of Copyrighted Works.